I will be voting for the Bhubaneswar Parliamentary Constituency (PC) and the Bhubaneswar North Assembly Constituency (AC) in the third phase of 2019 general elections for India that will take place on 23 April 2019. I have had a look at the affidavits of the candidates for the Bhubaneswar PC. There were 41 affidavits of 18 candidates, but only 14 are finally in the fray. Besides, the Association for Democratic Reforms (ADR) have also put up a report for all the third phase candidates of Odisha and there is a page for the constituency at MyNeta. Based on these, some basic information is provided in Table 1 in which the names of the candidates are put up alphabetically by their first names. This is also likely to be the order of their names in the Electronic Voting Machines (EVMs). Sources: Affidavits provided by candidates available at Chief Electoral Officer, Odisha, a report prepared from these affidavits by Association for Democratic Reforms (ADR), and a page put up by MyNeta. All these pages were accessed on 22 April 2019. Notes: PC is in title of table is Parliamentary Constituency. For column with heading 'Party': AITC is All India Trinamool Congrees, BJD is Biju Janata Dal, BJP is Bharatiya Janata Party, BSP is Bahujan Samaj Party, CPI(M) is Communist Party of India (Marxist), CPI(M-L)RS is Communist Party of India (Marxist-Leninist) Red Star, FPI is Freethought Party of India, KP is Krupaa Party, KS is Kalinga Sena, Ind1 to Ind5 are Independents 1 to 5, as per their names put alphabetically. For column with heading 'Asset Details' the figures are in Rs (rupees) where cr, la, and th dente crore, lakh and thousand, respectively. Disclaimer: There might have been some inadvertent error while providing the above information. Hence, in case of discrepancy or if any one wants to cross check the information themselves, one should look up the original affidavits provided by the candidates. Based on the information in Table 1 and some additional information that I may have accessed, I briefly discuss each candidate as per their alphabetical listing. Aparajita Sarangi, as per her affidavit, has a web page of her own. The page indicates that she was inspired by the Prime Minister and BJP party President and also provides a biography of her work as an officer through the Indian administrative services. She has earned a name as a good officer in the popular perception, but more as an executive functionary. A concern for a politically conscious lay citizen is why should experience in administration as an executive be an advantage for someone taking the plunge to facilitate legislation. It is, of course, possible that her experience can have an advantage as a political executive, but that is an independent decision beyond the domain of the voter. Arup Mohan Patnaik was recently associated with the Odisha State Youth Welfare Board and is contesting as BJD candidate. Prior to that, he was with the Indian police services in Maharashtra and has a wiki page in his name. He has many credits and a decorated officer (and perhaps a bolywood character). He has also worked under leaders across the political spectrum in Maharashtra and that could be an asset for Odisha in Delhi. Outside his policing, he has also done some work for treatment of cancer patients, particularly for those going from Odisha to Mumbai. One needs to point out that policing and facilitating legislation are different things. At the same time, one ought to concede that experience in social service and a law degree may facilitate legislation, but then the transition will not not be that straightforward. Bhakta Sekhar Ray is representing Kalinga Sena party. As per his affidavit, he edits an Odia weekly. With regard to education, he has completed his HSC and has also been trained as a Radio and TV technician. He also has a criminal case pending against him. Biswanath Ramachandra is the founder General Secretary of Freethought Party of India (FPI). The page has a message from the candidate and it does talk about some concerns on democratic functioning. You will also see him with a Hat, the party symbol, whose colour green will also remind many from Bhubaneswar that he is Professor Ramachandra of AMOFOI (Anti-caste Marriage and One-child Family Organization of India). It is said that as a teacher and academic administrator he had his differences with people because of his secular and rationalist position, but was not disliked by those who did not agree with his views. His long standing involvement in social issues and social movement may help in facilitating legislation. Biswanath Rout is from the Krupaa Party. He is a superannuated government servant, perhaps from the police services. He has a Master's and a law degree. Janardan Pati represents CPI(M), which has a pre-poll agreement with some other parties - INC, CPI and JMM - in Odisha for 2019 general elections. He edits a magazine and also has a law degree. He has a criminal case registered against him, which as his affidavit points out is after he had filed a case against the individual who had physically harmed him. Independent of the alliance, the party did have a base in the past in Bhubaneswar and has taken up pro-people issues. It is said that he responds quickly to queries in his Facebook page. Jayanta Kumar Das is an independent candidate. He has a degree in labour law and is an advocate. There is not much beyond that that one can ascertain for the candidate's affidavit. In any case, one needs to be aware that practicing law in the bar and formulating laws are two different things. Lalita Kumar Nayak is contesting as a BSP candidate. He has a law degree and is an advocate, and hence, the distinction in practicing and formulating law should be kept in mind. A search takes one to a Facebook page that is probably his, but the link is not provided as it is not obvious either from the affidavit or from the page that this is indeed the case. Madhu Sudhan Yadav is contesting as an independent. His affidavit indicates of a BA in Economics from Board of Secondary Education (BSE). This may be an inadvertent error because BSE does not offer BA degrees. Mahesh Chandr Sethi is contenting as an independent. As per the affidavit of all candidates, he is the poorest with Rs.4000/-. He has a BTech in Civil Engineering and pursuing law and one would have expected him to have some presence in social media, but that is not obvious from his affidavit. For some logistic reason, his is the only affidavit not analysed by ADR and MyNeta. Pramila Behera is a candidate for CPI(M-L)RS. The party's decision to put up a candidate when there is another left candidate indicates an absence of unity between them. Sanjaya Kumar Sahoo is an independent candidate. His affidavit indicates his educational qualification to be post graduate in journalism and mass communication, which implies that there ought to have been a presence in social media, but the affidavit as also an internet search does not indicate that. Subhranshu Sekhar Padhi is a contestant for AITC. The party page gives a list of contestant from West Bengal, but not from Odisha. He has a post graduate diploma in business management. Incidentally, he also has three criminal cases registered against his name, which is the highest among all candidates. Susil Kumar Jena is an independent candidate. He has a Masters in Engineering in Electronics and Telecommunications and one would have expected his strong presence is social media, but this is not obvious from his affidavit or from an internet search. Recently, I had put up some suggestions to the Election Commission of India (ECI), which I will present again below, but before that let me reiterate my response in the ensuing discussions in the wall of the post to a concern on whom to vote. Elections to Lok Sabha in India and similarly for lower houses in the States are not like the elections for the US President. The Prime Ministerial face from a party is not that important, as she/he, like the US President, will be an Executive head. The most important parameter for me is that we are selecting law makers, that is, people who can articulate concerns from the perspective of people in the Lok Sabha or to the lower house of the state assemblies. The sad part is parties do not select candidates keeping this in mind. There is, unfortunately, a premium given to the candidates role as an Executive (that is, their possibility of becoming a Minister) or other considerations. This, along with the whip, whatever may be its rationale, makes law making a casualty. Having said that, if at all one would like to give some weight to the party then it should not be for strengthening the Executive, but rather for strengthening the Legislature, which should be independent of the political, as also administrative, executives. A healthy democracy would be one where the Legislature, the Executive along with its different entities, the Judiciary and the fourth estate are all independent. In the Facebook post referred to above, I had put up some suggestions for ECI in future elections. They are as follows. The ECI should ask the candidates to enter the data in a reader friendly electronic format so that voters can easily compare across major parameters for candidates in their constituency or even for candidates across constituencies. I know that the ADR and MyNeta do this for almost all contestant for most constituencies, but they must be entering the data again, which is a tedious task. The entry by candidates in the first instance will reduce this time and effort and release the resources with ADR and MyNeta for additional work like providing information from the social media of contestants or organizing a debate in the social media among contestants. In the affidavit as also in the reader friendly format there should also be a space provided to the candidates to indicate why they should be the right candidate and why should the voter chose her/him. Frankly, the current information provided in the affidavits do not provide much information for helping the voter to choose. The ECI should also provide a platform (through social media) where voters can ask the candidates questions and the candidates can respond. The purpose of this exercise was to educate myself about the candidates and I am sharing this so that it might be of use to others. I also share my concerns on the parameters one may consider in selecting whom to vote and also provided some suggestion to ECI for conducting elections in the future to make the affidavits provided by candidates easily accessible to the voters. I thank the candidates for providing their information through their affidavits, the ECI for making the scanned PDFs of the affidavits accessible. The ADR and MyNeta teams are doing yeomen service by analyzing the data available in the affidavits and presenting them in a voter friendly manner. I must mention that I might have met some of the candidates in some or the other capacity, but do not recall having met any of them in the recent past after the announcement of the dates for general elections 2019 by ECI. I must also put it categorically that I am not supporting any party or any candidate. I wish all the candidates their very best. Let democracy be the winner. "Before the law sits a Gatekeeper" are the opening words of the parable, Before the Law by Franz Kafka. The Gatekeeper (or, the Chowkidar), true to zir duty, does not allow "a man from the country" (hereafter, the Citizen or the Nagarik) to enter through the gate. In the beginning, the Gatekeeper lets the Citizen know that it is possible for the Citizen to get entry, "but not now." The Citizen till zir fag end could never get entry through the gate. Nevertheless, the only consolation, if one may say so, is that the Gatekeeper lets the Citizen know that the gate, like Aadhaar, was specially prepared by the State for zir entry. The parable while complete, somewhere, leaves a feeling of something being incomplete. The Gatekeeper, who has only done zir duty, moves on, without conveying what ze feels - ze perhaps has a sense of completion, perhaps not. In a rational (not reasonable) manner, it would make sense to the Gatekeeper to internalize and accept that the gate (as also the wall) is for everyone's good. This also facilitates the Gatekeeper's move to a higher level. It is said that if one gate closes then many others open up. Note, the gates open up only for the Gatekeeper if ze is willing to continue as a Gatekeeper. Otherwise, ze can always be like the Citizen, waiting for zir entry through a gate that is specially made for zir. It is pertinent to inform that Before the Law by Franz Kafka is a parable from an unfinished novel, The Trial, which has a concluding chapter. So, one is left with a question. Is the sense of completeness meant for some, like the Gatekeeper, who perhaps moves to a higher level of gatekeeping, but not for the Citizen, who is meant to wait on at a gate specifically prepared for zir? The crisis in rural India reflected through a crisis in agriculture has been a matter of persistent concern. This has led to two farm-related peaceful marches in Mumbai and in New Delhi in 2018. Many state governments, in recent times, have come up with different schemes. Telengana has waived off loans and water dues, provides free electricity to farmers, gives insurance for farmers, and has revived the age-old tank based irrigation system among others. 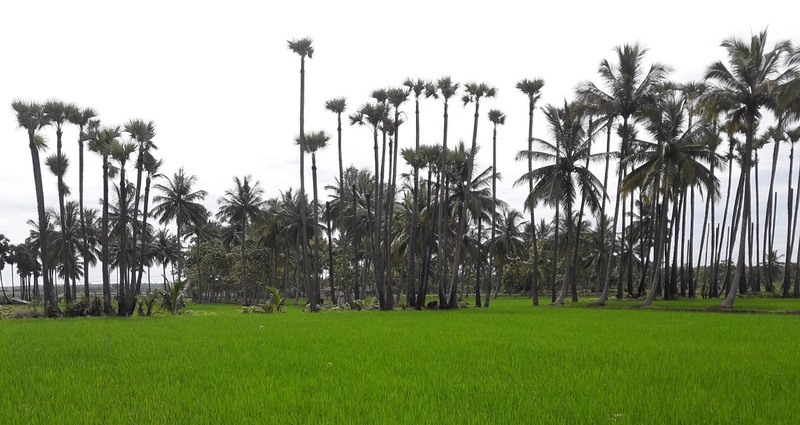 It has also come up with the Rythu Bandhu scheme to provide investment support of ₹4,000 per acre per season. The states of Chattisgarh, Madhya Pradesh, Punjab, Rajasthan and Uttar Pradesh have also come up with loan waivers and are planning other things. However, it is said that debt waiver can be iniquitous across regions and across farm sizes. Further, it may lead to a culture of non-payment of loans. Odisha's KALIA (Krushak Assistance for Livelihood and Income Augmentation) with an acronym that is a popular name of Lord Jagannath allays some of these fears. It has five instruments: ₹5,000 per cultivator per season for five seasons for all marginal and small farmers, ₹12,500 per landless agricultural labourer household for three years to take up non land-based allied agricultural activities, ₹10,000 to vulnerable households who cannot take up any activity, life insurance for all cultivators and agricultural labourers, and interest subvention on crop loan up to ₹50,000. The KALIA scheme is being implemented on a war-footing and almost all officials from agriculture and sister departments as also staff specifically employed for this are burning mid-night candles. This shows that if the powers that be want then they can stretch the system to its physical limits and also deploy additional human resources to implement pro-people programmes. This needs to be applauded. However, this urgency and importance should also be taken beyond its immediate implementation and extended (if not in its entirety) but at least in its spirit (with a limited rigour) to this as also many other pro-people programmes that have a knowledge-intensive approach such as in Paramparagat Krishi Vigyan Yojana, Integrated Farming and Odisha Millets Mission among others. Getting back to India, a rough estimate for 2019 puts the number of rural households at 20 crore (200 million), of which nearly half are likely to be cultivators/farmers. These farmers may be contributing ₹10 lakh core (₹10 trillion) or 5 per cent of the ₹200 lakh crore (₹200 trillion) economy, ie ₹1 lakh (₹100,00) per farmer household. The Situation Assessment Survey of Farmers in 2013 indicates an average income per farmer household from all possible sources of income for 2012-13 at ₹77,112. If ₹2.5 lakh (₹250,000) is considered as a minimum basic income per annum per household (similar to the minimum salary for a central government employee) then the shortfall, with the possibility of being an underestimate, is ₹1.5 lakh (₹150,000) per household, or, ₹15 lakh crore (₹15 trillion) for the 10 crore (100 million) farmer households. Similar shortfalls may be assumed for other rural households like agricultural labourers and casual labourers, which may also be ascribed to lower returns to farmer households. The shortfalls are an outcome of farmers not being paid adequately for their produce and for not being paid anything for their ecosystem services. In short, the farmer has been subsidising the nation. Ironically, the system may incentivise production that may harm ecosystems and may also propagate application of harmful chemicals in our food.These need to change. There is a need to incentivise and facilitate systems that encourage no poison in our food. There is a need to provide minimum basic income support to farmers. For this, Rythu Bandhu and KALIA may be good beginnings, but it only opens up the door for more. Bali Yatra is celebrated on the day of Kartik Purnima,an auspicious day that falls on a full moon around November and is celebrated among Hindus, Jains and Sikhs in India and elsewhere. In Odisha, among other things, this also marks the end of the holy month of Kartik (a month when people give up non-vegetarian eating - can also be linked to the breeding season of fish, and hence, a sustainable practice; at earlier times people used to give up non-vegetarian food for four months - the chaturmas - some may follow this practice even today). 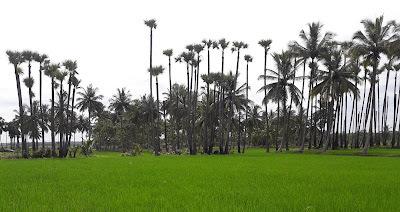 Besides, in paddy cultivation areas of Odisha the month of Kartik being one of lean agricultural activity (because sowing/transplantation is completed and harvesting is yet to begin) a month of religious vows and spiritualism also keeps them away from uncalled for nefarious activities. It also marks an end to possible cyclonic storms in the Bay of Bengal, and hence, the time is ripe to venture into the seas or so thought the ancient mariners (Sadhabas), two millennia earlier. It seems that they set sail to Bali (an island to the Southern tip of Indonesia) and on their way touch upon Sri Lanka, Java and Sumatra and sometimes even go beyond. To mark this ancient activity, even today, people in Odisha celebrate Bali Yatra (journey to Bali). A week long festival begins on the banks of the Mahanadi. In 2018, the celebrations began on 23 November. A song sang on this occasion is as follows. The songs transliteration in Devanagri script will read as follows. The songs transliteration in English alphabet will read as follows. When the mariners set sail they were seen off by their near and dear ones. Given these, I provide two interpretations. The first interpretation from the perspective of the mariner may read as follows. O Mother of the Mariner - protector of the Seas and our Sails. We offer before thee the auspicious Betel and Arecanut. Protect us in the months when we venture into the high seas. In short, before we start our journey, we pray thee for our safe passage to and from the far away lands and for peace and prosperity for all. A second interpretation from the perspective of those who see the Mariners off may read as follows. We offer you the auspicious Betel and Arecanut. It is my month long penance that will bring you back to be Mine. Note that Aa(a) and Ka(a) are sort of the first vowel and the first consonant in Odia alphabet, respectively. Hence, first among equals, which could refer to a son or to a beloved. If it is being sung by a mother then it may convey that you are going with another mother who will take care of you during your journey and will return you safe and sound back to this mother - one mother's pain, agony and penance will be understood by another mother. If it is being sung by the spouse/partner then it may convey that you are going with your mother and my penance will bring you back - a mother ought to understand the pain, agony and penance of another woman (the subtle difference between mothers and lovers, notwithstanding). The month long penance could refer to the month of Kartik before the Mariners set sail or it could refer to the coming months, beginning with the month of Margasira when women in Odisha pray on Thursdays to thank and welcome the coming of Godess Laxmi in the form of harvest bounties and other forms of wealth. of the three-eyed Lord, Shiva. for thy love, in life and in death. epitome of evil, that will devour you in full. in penury, addressing man-animal conflict. 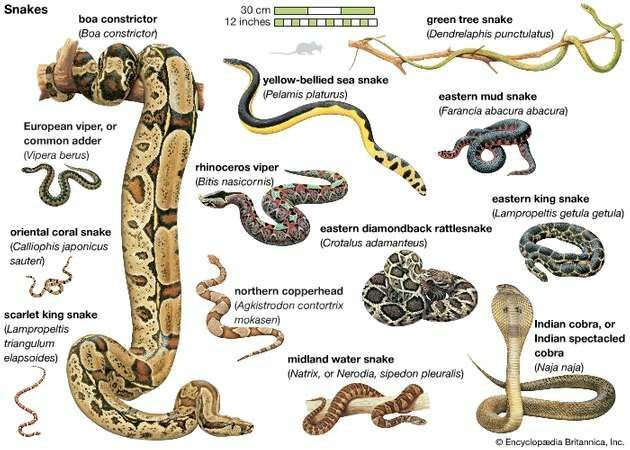 save the venom, save life.